What do we love about this top? Where do we start? 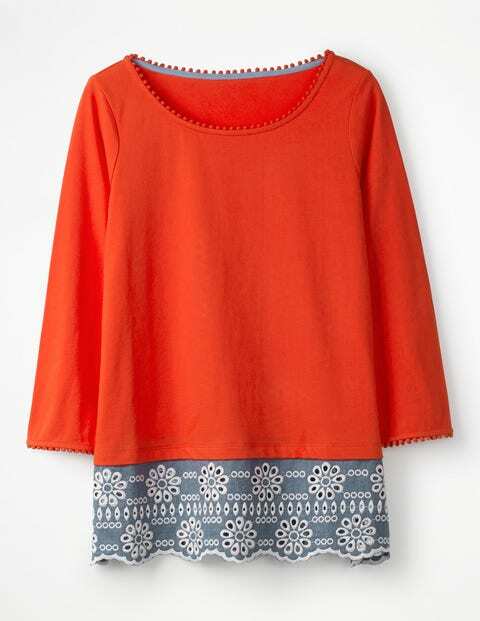 It has a bobble trim at the hem and sleeves for playfulness; in-house-designed broderie for sophistication; and three-quarter-length sleeves for all-year-round wearability. This is an off-duty staple that you don’t want to miss out on.